One of us was tasked with the "job" of finding a good place for lunch and the place of choice was Imakatsu. The Japanese restaurant, which specialises in tonkatsu, has been around for 80 years in Japan with its flagship at Roppongi and presence also at Ginza. It was a weekday when my dining companions and I visited the branch at Boat Quay, its 2nd in Singapore after The Star Vista. While none of us have tried the place before, we were looking forward to a meal there due to the rave reviews online. However, reservations were not allowed so we decided to try our luck. As there were no available seats indoor, we settled for a table outside. No air-conditioner, just the fan and thankful for no haze. 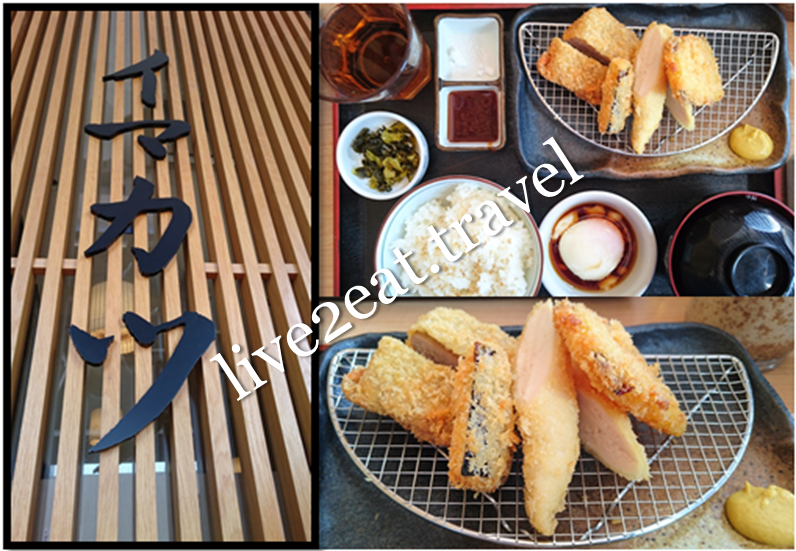 Ordered Bite Size Pork Fillet and Chicken Fillet Cutlet Set from the lunch menu – comes with miso soup and pickled vegetables, unlimited rice and fresh cabbage. The katsu items had tender and juicy insides with a thin, crisp and evenly-coated layer of batter that was not too oily. Loved the sweet potato and preferred the pork to chicken fillet. Raw crunchy cabbage was perfect with sesame dressing especially when interspersed with deep-fried food. I could not complain about the soft-boiled egg I added, just like the lovely rice and pickled vegetables. Non-deep-fried food items on the menu include Oyako Don, Pork Don with Oroshi/Ginger Sauce and Cold or Hot Udon.